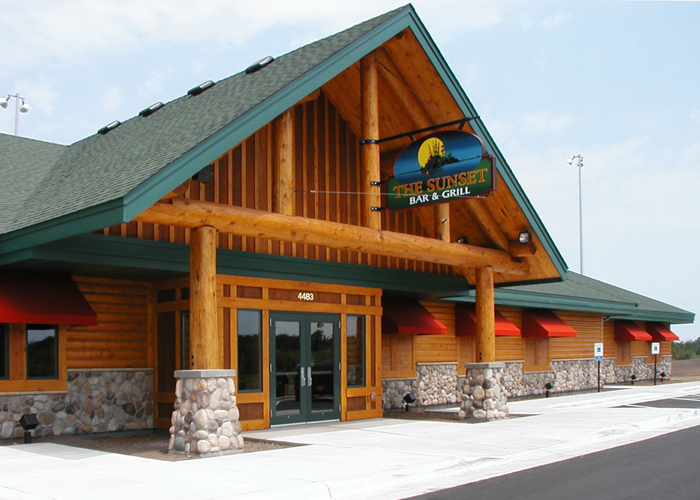 Located just north of Duluth, MN, in Rice Lake Township, the new Sunset Grill appeals to a variety of patrons with its restaurant and nightclub venues. One of its main features is the adjacent softball fields owned by the proprietor and accessed from the partial basement at grade level. Foundation and floors are concrete. 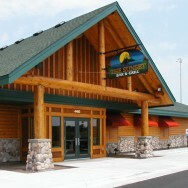 Wood framing, walls, and roof trusses complete the north woods look.